HCR ManorCare, the second largest nursing home operator in the United States, filed for Chapter 11 bankruptcy protection on March 4 and will transfer ownership to its landlord, Quality Care Properties Inc. This is the latest among several signs of dysfunction in the senior housing industry. Quality Care Properties is set to become the full owner of ManorCare’s skilled nursing, assisted living, hospice and homecare businesses across the United States. ManorCare was the nation’s largest skilled nursing facility operator during the last decade; however by 2016 it had dropped down to number 2. The Toledo, OH based HCR ManorCare had owed its landlord more than $300 million in unpaid rent. In a filing with U.S. Bankruptcy Court in the District of Delaware, ManorCare said revenues have failed to cover monthly rent obligations since 2012 which was a year after the master lease was signed. According to new study published in the February American Journal of Infection Control, researchers found that implementing simple hand-washing protocols in nursing homes help prevent the spread of deadly infections. The study showed that if nursing home employees exercise the hand washing techniques that are already in practice in hospitals, the spread of deadly infections can be lowered dramatically. Lowering the spread of these infections significantly lowers death rates for nursing home residents and also lowers the amount of antibiotics that need to be prescribed to those residents. United States nursing homes experience around 3 million infections yearly and those infections are one of the leading causes of death in nursing facilities. Infections also add around $1 billion in extra healthcare costs, according to the Association for Professionals in Infection Control and Epidemiology. According to a report by the Associated Press, an investigation into the death of a 76 year old woman at an Ohio nursing home revealed she spent roughly 8 hours outside while temperatures fell below zero. Phyllis Campbell was found dead from hypothermia on January 7 outside Hilty Memorial Home in Pandora, OH. She reportedly suffered from dementia and had a history of wandering off. “She had a history of exit seeking behaviors” and “the facility failed to ensure adequate supervision was provided,” according to a report released by the Ohio Department of Health. That report from the Ohio Department of Health says two nursing home aides told investigators they didn’t do scheduled checks that night even though they were marked as completed. She left the building around 12:35 am and Putnam County Coroner Dr. Anne Horstman determined that she died between 1 and 2 am. She was able to exit through a door into a courtyard even though she was wearing a monitor that should have set off alarms but “at times would not sound.” She was found in the courtyard about 30 feet from its doors in the morning. The Investigations findings note that Campbell had wandered into the courtyard 2 other times during the week before she died and that she got out of her room several times that day. 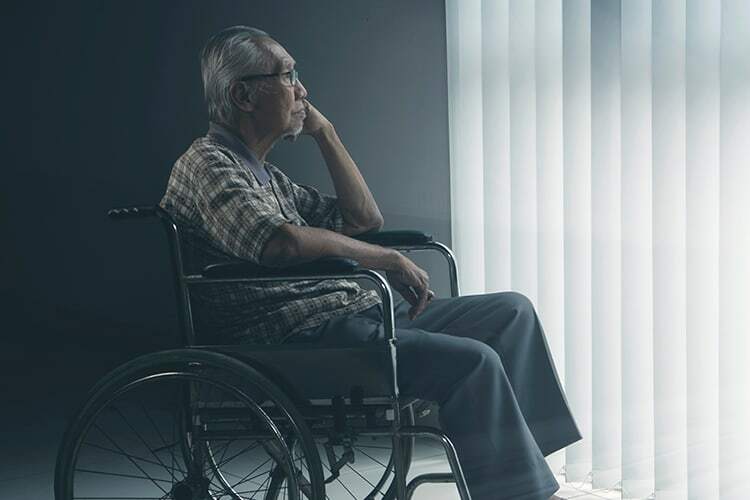 Pennsylvania Governor Tom Wolf’s administration is putting out a new Medicaid feature that’s aimed to decrease the number of enrollees in nursing homes in the future. It is also intended to lessen a large expense for the state, which has a rapidly growing elderly population. This plan has been in place in many other states for years and provides the road map for how it can be administered in Pennsylvania. This new feature will have a financial incentive to get enrollees the medical care and services they need in their home instead of in the nursing home, where it can be twice as expensive. The savings under this plan will be substantial. It is around $62,000 per year for nursing home care and about half that for the care at home. There are over 50,000 Pennsylvania nursing home residents that are covered under Medicaid.